There was a time as I began my career as a jewelry designer when I dreamed to exhibit at one of the Smithsonian Museums. I am a true believer that things come to you at the right time, no sooner no later. This year I decided to participate at the Native Art Market of the Native American; I submitted my application, and said why not apply? the worst thing that can happen is to be rejected. So, I applied later on I found out that only 38 artists were selected from over 200 applicants. So you know how special I must have felt when I knew about it. 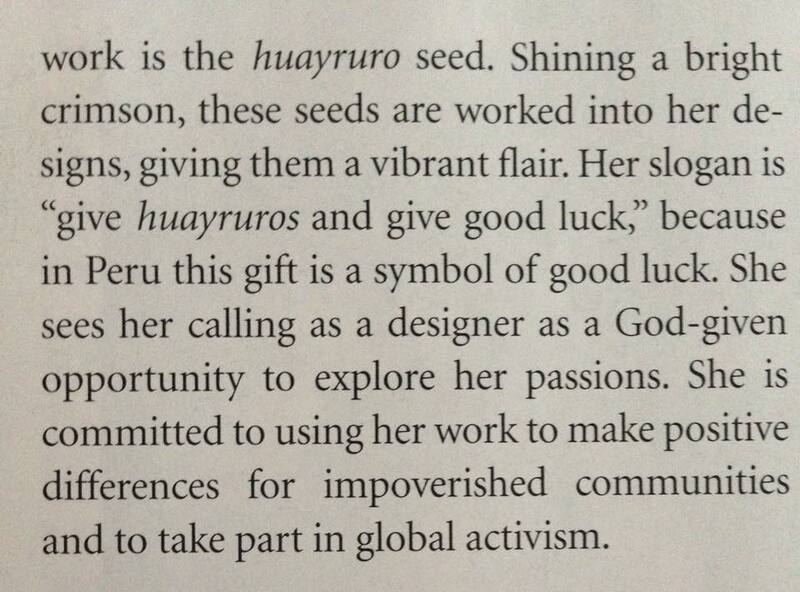 More so when I got on the mail the Native American Magazine and I see over half page dedicated to my Peruvian huayruros, I have dedicated over three years to create one of a kind jewelry pieces working exclusively with this good luck seeds known as huayruros. I grew up with huayruros, knowing very well their meaning of bringing good luck and that they protect us from the evil eye or bad energy; I remember playing with them, although I refused to wear them traditionally (meaning in simple bracelets or necklaces), years later I found the answer as why I didn’t want to wear them. I did want to wear them but in a more sophisticated and modern way. I wanted to share my culture and heritage through my jewelry designs but following the latest trends. Not just as simple necklace or bracelet strands.